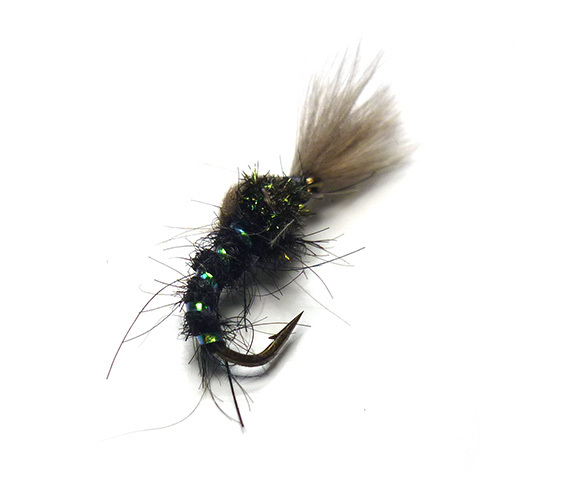 The Shuttlecock CDC Buzzer Black is a great 'Top of the Water' buzzer pattern. Dressed with CDC to float high on the water's surface. A simple dubbed body of black seal's fur makes this version of the shuttlecock buzzer a great season long pattern. These CDC Shuttlecock Buzzers work best in a flat calm or light ripple when the trout are rising to emerging buzzers.